So much of the exciting retail scene of today is coming from people with a real passion. The passion is not necessarily for retail initially but comes as a natural evolution of a wider passion for a philosophy, for values and for life. 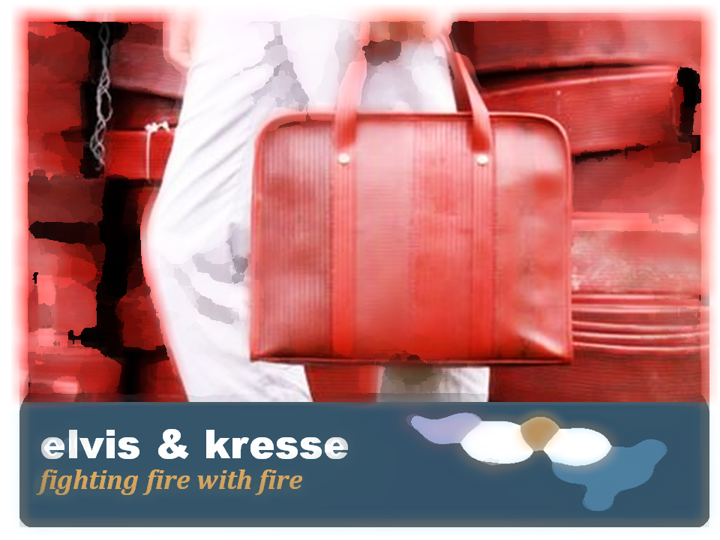 Elvis & Kresse is one of those truly inspirational retail brands that you don’t come across every day. However, it is commanding a loyal following and represents a growing number of business producing beautiful products with a 360-degree ethical and sustainable philosophy. Their passions are to reduce waste, to conserve resources, to support likeminded charities and to train apprentices in luxury manufacturing skills. Their starting point was a meeting with the London Fire Brigade. Their finishing line is a range of luxury fashion accessories. That chance meeting over 10 years ago revealed that all the old rubber hoses used by the force were simply being thrown away when their useful life came to an end. After some exploration of the materials and properties of hose pipe construction the business evolved the processes to create the handbags, belts and purses that are their trademark. The brand now takes in old hoses from a variety of Fire Brigades. The brand also collaborates with Burberry. After the public outcry against Burberry for incinerating millions of pounds of excess stock, and destroying materials from its manufacturing process, Elvis & Kresse has worked to turn 120 tons of leather off-cuts into accessory products sold through the Elvis & Kresse brand. From this collaboration the “Fire & Hide” range has evolved which combines the rubber of the fire hoses with the re-woven leather from factory floors. 50% of all profit given back to Fire Services Support Charities. If hoses & leather weren’t enough the brand also recycles imperfect parachute silk, coffee and tea sacks, shoe boxes and materials as diverse as blankets used in the printing industry and banners used to promote events at some of London’s premium auction houses. Elvis & Kresse is also very much a community as much as a manufacturer or retailer. A trend that is growing and so important for brands to survive & flourish. It collaborates widely on new designs and offer workshops to learn techniques and design your own personalised bags. As far as modern retailers go it ticks all the relevant boxes and appeals to the heart as well as the desire for beautiful things. What’s the passion behind your business? How can you evolve a community around what you make and what you sell?